WHO IS IT FOR? 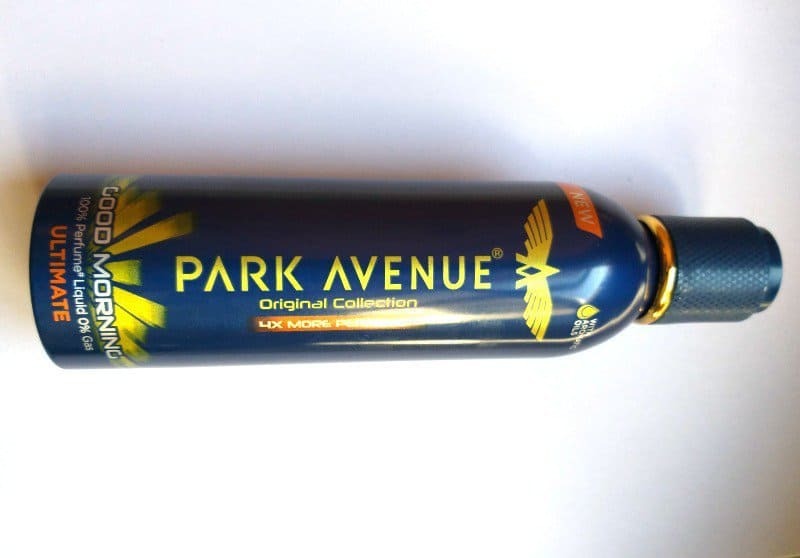 Park Avenue Good Morning Ultimate Perfume is for men who prefer a strong and lasting fragrance. Gently shake the container. Hold container 15 cm away from your skin and spray. A patch test is advised. Initially, it came in a denim color cuboidal box and the bottle is of blue color which is not very dark or light. It is cylindrical in shape with a tight cap, which is travel-friendly. All essential details are mentioned on the bottle. I can say that the packaging is quite attractive. It stays for 5-6 hours, after that it can be smelled only on clothes. This perfume has a really strong fragrance, light fragrance lovers should avoid this. It has a fragrance of fresh citrus notes topped with patchouli and vanilla. Being a strong fragrance lover I love the fragrance but over sprays can create a problem. I really love this perfume as it offers much in little price. Generally, males prefer strong fragrance and I must say this perfume is perfect for them. You are all set to go in just 2 -3 sprays. Overall I really like it but over sprays create a little bit of a headache as it has a really strong fragrance. Also, I like its staying power. Yes, I will recommend this product because not all perfumes offer 5-6 hours of fragrance in this price.